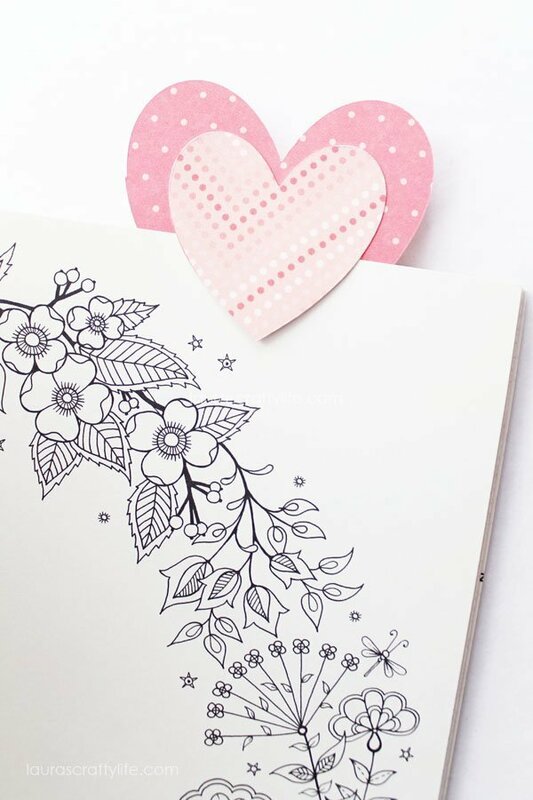 I have a quick and easy craft for you today for Valentine’s Day. 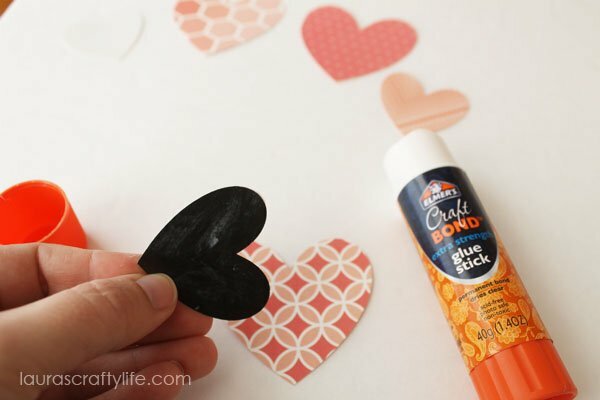 Today, I am going to show you how to make heart bookmarks. You can really do this with any shape, and this project would easily be adaptable to use another shape or design for other holidays. I think these would make adorable Valentine’s you can pass out in class. I am going to show you how I made these in less than 5 minutes with my Cricut Explore. 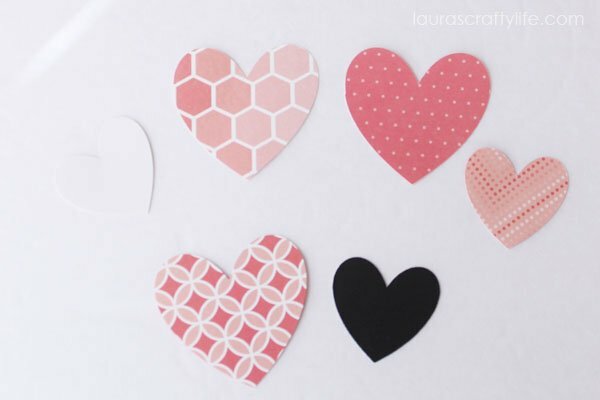 Cut out two heart shapes (one larger and one smaller) for each bookmark. Mine are 2.5″ wide for the large heart and 1.75″ wide for the smaller heart. 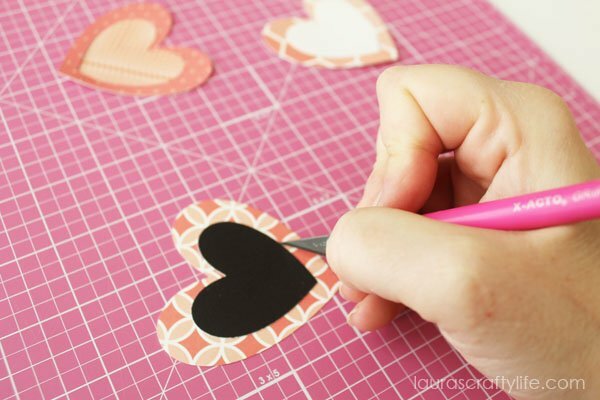 Note: You could easily cut out hearts with a metal die or even by just cutting out hearts free-hand. Glue the smaller heart onto the larger heart. 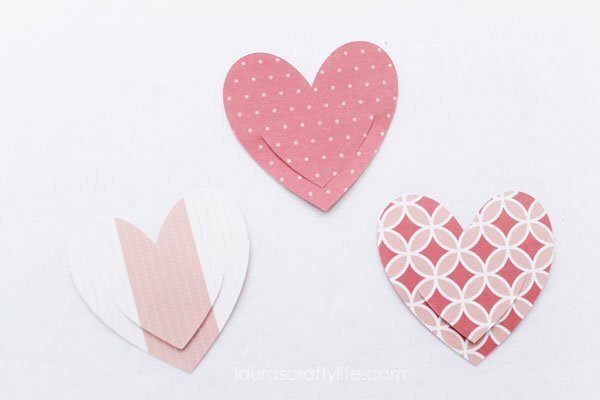 Use your X-Acto knife to cut around the bottom half of the smaller heart. This will create an opening to slide your book page into. 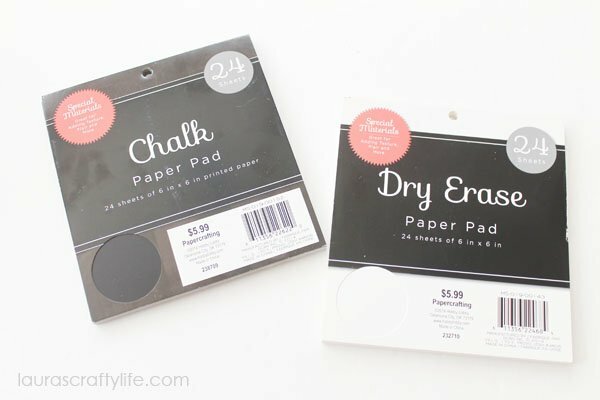 I used chalk paper and dry erase paper so you can write a cute little note on them. Be sure to use a chalk marker to write on the chalk paper and a wet erase marker on the dry erase paper. This way, once it is dry it will no longer smudge and will be semi-permanent until wiped off with a damp cloth. 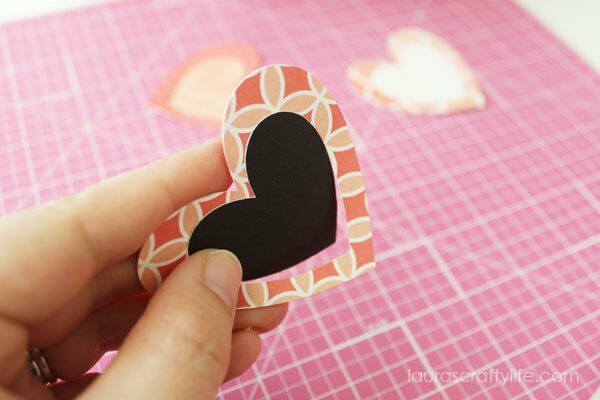 Tip: Use double-sided paper for this project. 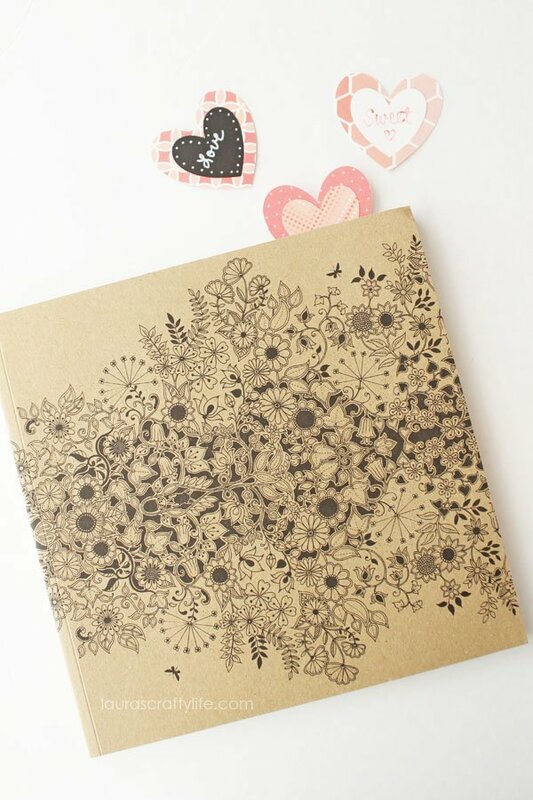 It is thicker and it looks more finished to have a fun pattern on both sides of the paper. 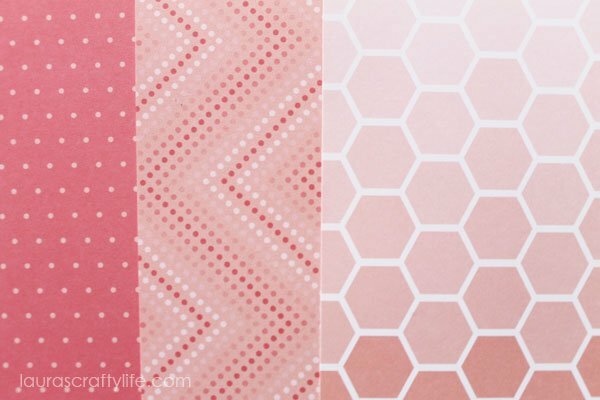 I used papers from the Jen Hadfield Home+Made collection. These are so quick to put together. And they are super cute! 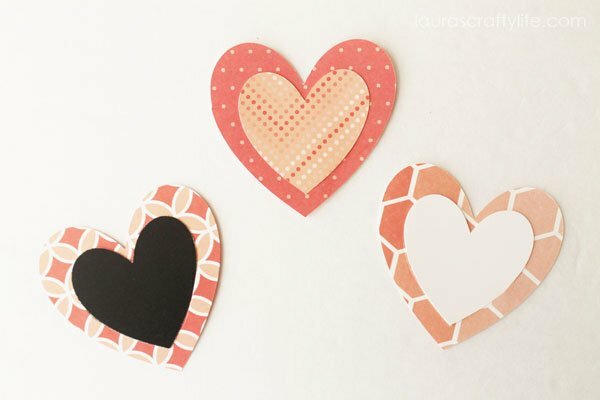 This project was a part of this year’s Valentine’s Day Craft Lightning hosted by The Country Chic Cottage, 30 Minute Crafts and 100 Directions. Be sure to check out their blogs this week to see other crafts you can create in less than 15 minutes! Love these Laura! Thanks for joining! Super cute, and they look really easy! Thanks Amy! They are super fast to create, especially if you use a die-cutting machine. This is way too cute! I need to get my students to do this sans x-acto knife. I can do that part as they’re 8/9 lol Thank you for the great and quick idea! So glad you found it! You could probably do it with scissors as well for your class. Have fun!